Any substance on earth in varying degrees, radioactive. Alpha radiation is a stream of heavy particles with a positive charge composed of protons and neutrons. Scientists are constantly studying the possibility of using radioactive nuclides in medicine and successfully practiced treatment of cancer, resorting to their help. However, alpha particles should be treated with caution, as they have too high rates of biological activity. What does the term «alpha radiation», as it was discovered and whether it represents a danger to humans? First, the alpha radiation was discovered by sir Ernest Rutherford, the British scientist originally from New Zealand. Thanks to his experiences was presented to the world model of the atom. Rutherford managed to open the structure of radiation through exposure to the radioactive magnetic field. He was placed in a completely sealed lead cylinder, the plates, the radioactive means and the output subjected to the magnetic field. Under his influence the radiation was split into three parts. Two beams that have been deflected in opposite side, called alpha rays and beta rays. The radiation that remained neutral and refracted at a right angle, is called gamma radiation. Alpha rays have a positive charge, and beta is negative. After a detailed study of alpha radiation scientist discovered what this thing is. 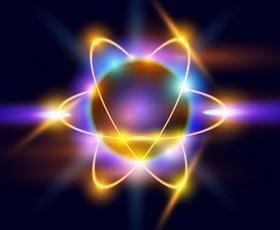 Alpha particle – a particle which in its structure is very similar to a helium atom and a positive charge is different. The beam path is very short in air its length usually does not exceed 11 cm. Alpha rays are the result of the magnetic field on a heavy radioactive chemical element. During the explosion, the source of the radionuclides are the remains of the nuclear charge of uranium or plutonium, which did not explode. The energy range of alpha rays is in the range of 2-9 MeV, depending on which radioactive element was used to obtain them. For example, the uranium emits alpha rays with an energy of about 4.5 MeV. The initial speed is about fifteen thousand kilometers per second. As the rays are moving in an environment, the speed of alpha particles is reduced and at a certain interval is equalized with the speed of the molecules of the substance. After slowing down the positive alpha particles attract an electron and form an atom of helium. All the energy of alpha-rays are directed to the ionization of the atom. Alpha radiation is recognized as among the most ionizing radiation. Moving one centimeter in air, the particles create about 30 thousand pairs of ions. At the same time on different segments of the range of alpha particle ionization is not the same. The growth dynamics of ionizing occurs not at the beginning of the run, and closer to its end. The highest rates in the end of the road, as the radiation meets with the greatest number of atoms, overcoming the last inches. Because of the high ionizing the speed of alpha particles is quite low, and the path length does not exceed 11 cm in air. In solids the value of the path of alpha radiation does not exceed one-hundredth of a millimeter. Radionuclides of the uranium or plutonium is practically not able to move through the tissues of the human body. An ordinary sheet of paper or clothing become an insurmountable obstacle for them. Significant ionization leads to the fact that a powerful flow of energy that comes from source very quickly reduced to zero indicators. Because of this fulminant loss of energy source penetrating ability of alpha particles is a few hundredths of a millimeter. Radiation is not able to pass even through the dead skin cells, so almost no danger to humans by external forces. If for the formation of alpha radiation has been applied to the accelerator, its impact will not be so harmless. Alpha particles instantly decay into radioactive nuclides, which are dangerous for human health. Getting inside the lowest dose of radiation that can enter the body through the respiratory or digestive tract, people can get exposure, sufficient to cause him radiation sickness. That is, by external exposure to alpha rays can cause harm to the body, only if the human body is covered in open wounds. Once in the body, alpha particles cause the cell to divide with greater speed, irradiating them, which leads to a change of genetic information, mutations and formation of cancer tumors. 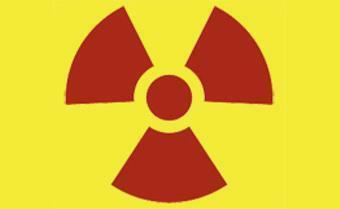 When the alpha radiation penetrates the body, it can lead to radiation sickness – death are inevitable. Alpha radiation is the movement of particles with high ionization, which cannot penetrate beyond the top layers of the epidermis. The maximum that can trigger alpha waves – this light burns and irritation. According to the results of many studies it was found that external influence is not dangerous. However, penetrating into the organism with food, water, or through damaged skin, alpha rays can cause serious toxicity. The stronger the ionization, the presence of free hydrogen and oxygen in the structure of alpha-radiation leads to serious failures and pathologies. The external flow of alpha-rays are considered harmless to humans and does not require special protection. 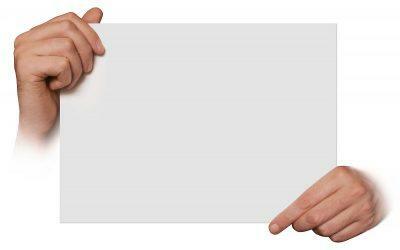 Plain paper or thin aluminum sheet will create a solid barrier. And even this is not required, since the clothing is completely will restrain the radiation and would not allow him to get to the skin. It is recommended to move away from the source of alpha rays is 20 cm and such precautions will be enough. alpha rays penetrate through the damaged skin and wounds, so it must be protected with special pastes, emulsions or creams. In addition, there are recommendations regarding the excretion of the decay products alpha particles by eating certain foods. Among them citrus fruits, cabbage, legumes, fish and other foods that have vitamins b and C. with regard to national methods, the radionuclides from the organism contributes to the Jerusalem artichoke. The special properties of alpha particles, particularly their low penetrating power, does not allow to detect radiation in conventional dosimeters. For this purpose, a Geiger counter, a notification of hazard characteristic clicking that allows you to quickly protect themselves and are protected from the penetration of alpha rays. Long-term study of physico-chemical characteristics of alpha-rays showed that their impact can be not only harmful, but also considerable benefits. Alpha therapy is used to fight many serious illnesses in complex with basic medical treatment. For this purpose the isotopes that come with alpha-radiation: radon, thoron. They quickly leave the body and not a great life. Despite the aggressiveness of the radionuclides of alpha radiation, according to experts, that the alpha particles more effective and safely used in medicine. Sessions to fight cancer cells need a lot less than in the treatment of beta-rays, since alpha radiation acts on the hearth more concentrated. issues in gynecology, hormonal failures. joints: arthritis, arthrosis, gout, rheumatism. In addition, the treatment of alpha radiation gives a positive trend with nervousness and panic attacks, as it has a calming effect, it dulls the pain and relieves fatigue. Thanks to the numerous experiments of a group of nuclear physicists was held for the distinction between a dangerous dose of radiation and the dose useful for the body. The use of alpha-therapy helped to restore the health of many seriously ill people. To summarize the above information, highlighting the main features of alpha radiation. The greatest danger are just the decay products alpha particles- radionuclides. Cosmic rays are largely composed of alpha-rays. 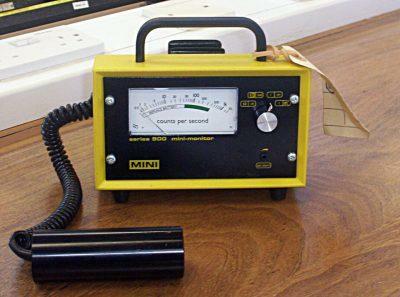 To determine the radiation can only Geiger counter. A sheet of paper, gloves, plastic goggles and thick clothes with long sleeves – reliable protection from alpha radiation. Alpha-therapy has shown itself as an efficient and effective method for the treatment of severe diseases. Alpha radiation is safer in treatment than, for example, therapy with beta-particles. Sources of alpha particles: radioactive production reactors the uranium industry. This implies that any radiation and useful and at the same time deadly. Fortunately, if the alpha-radiation and is present in everyday life, as a rule, it is so scanty that they are unable to cause irreparable harm to his health.